Alright guys, time for another blog income report! I’m so glad that I decided to start doing these income reports back in June, and today’s report is kind of interesting. So the biggest thing I noticed this month was the definite decrease in page views. I was really bummed about that at first,but I knew this would happen. Why? Well, because a couple of my most popular posts have slowly been losing traction. Yea, you’ve got one or two great posts, but if you only count on THOSE posts to get you your traffic, you’re setting yourself up for total failure. Because just like what happened to me this month, sometimes those posts lose their popularity and they die. Luckily, I’ve been writing more than ever, so I’ve had other posts bringing in traffic too. Yea, July was a better month for page views, but I’m still doing better than I did in June, which makes me happy. I’m looking at this month as a challenge, and I’m setting a goal of increase page views by at least 5,000. But the other thing I want to point out here is that even though I had a significant decrease in traffic, I still made MORE money than I did last month, which supports what I’ve been saying for a while now…YOU CAN STILL MAKE MONEY BLOGGING WITHOUT TONS OF PAGE VIEWS. Without a doubt, I had a great month for sponsored posts. Despite my initial thoughts that it might be a slower month, I was 100% wrong. There were a lot of great campaigns open and I’m happy I got to be a part of them. I also had my first one-on-one blog coaching call this month and it was so much fun! Definitely something I hope to do more of in the future. $25 for a one hour session with me. So if you’re interested, contact me here and we’ll set something up. I also got a room on South Beach for $50 in exchange for a post about my stay. I explained all of that in my blog post earlier this week where I talked about my blog media kit and the many advantages of having one. That was one of my goals from last month, btw! Finally getting around to making my media kit! Super happy I accomplished that! This month, I’ve got a few projects lined up, but again, I’m a little concerned about the potential sponsored posts for this month. That’s why I’m constantly looking for ways to diversify my income. So that’s it! 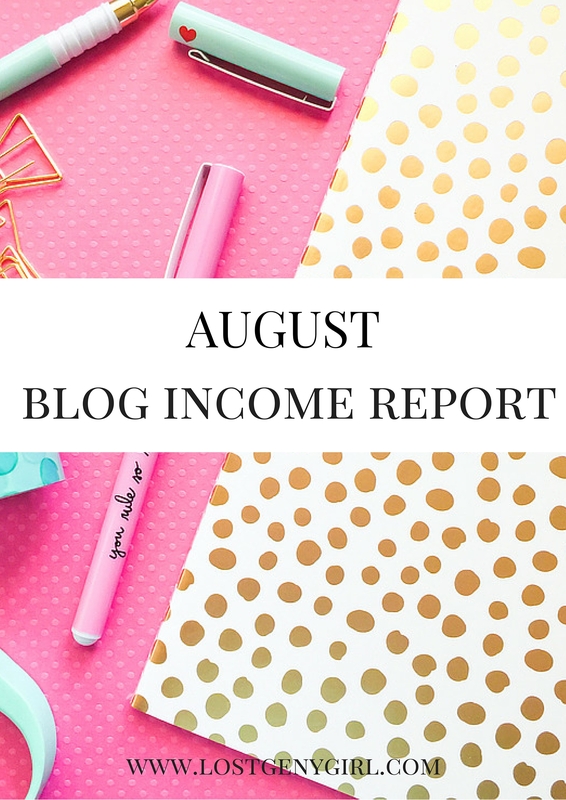 My August Blog Income Report! GIRLFRIEND!!! Teach me your ways! I love blogging for blogging, but cannot imagine creating such a crazy amount of extra income!! I think it’s so great to see how successful bloggers are! Who would’ve imagined that young puerile would find a way to capitalize on doing something they love so they can eventually have financial freedom from the workplace? Kudos! Whatever your strongest posts are should always be promoted? Are you using software like buffer so you can set up automated tweets about your content. I would vary the times you send out tweets about posts. You never know what fresh eyeballs see content that you think is becoming less popular. You may also want to go back through some of your previous posts to add content and freshen them up. Thank you for sharing the monthly reports. Congrats on the book deal and all of your successes. Great job! You are doing very well! Thanks for sharing. I would agree that sometimes, the numbers don’t matter. It is the engagement and the interaction between blogger and readers that are more fulfilling. It sounds like you are doing a really great job. I know it can be tough sometimes as a blogger, but I think we are all just trying to do our best. Wow! You are really doing fantastic on the blog income front (and definitely none too shabby on page views, either). Way to go! WOW! I have only been blogging for a little over a and these kind of post inspire me to work harder even if I have a long way to go before I get there! wow! you are doing awesome. Thanks for sharing that its possible even without massive amounts of page views. It’s also awesome to see your growth!! Congrats on another great financial month! 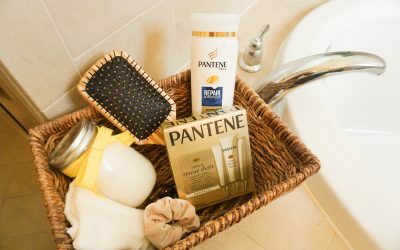 How many sponsored posts do you do each month? Whats your ration between sponsored and non-sponsored if you don’t mind me asking? Thanks for sharing your income. I like to see what other bloggers are making. I love that you share your details. Too many bloggers are too competitive to be so open. I LOVE these types of reports. I’m a newbie blogger myself (only doing it seriously for a month), and I plan to start these next month. I’m trying so hard to get my page views up so I can join networks like Clever Girls, and I’m working on getting accounts with places like Linquia, Sverve, etc. There is just so much to learn and room for constant improvement, that’s something I really love about blogging! Wow, I could never imagine making that much money on blogging. I will definitely be looking for tips now! I am thinking about starting up my own income reports, because I too find myself telling other bloggers that it is possible to make money with a small number of readers. I am learning consistency is key, I apply for any and every sponsored opportunity I can! Thank you for sharing! Where do you find your sponsored posts and about how many hours per week or day do you find yourself “working”? Great job!! I love when other bloggers share these reports. It is fascinating to see what others are doing. You have come a long way in such a short amount of time. Congratulations! I have to get on the ball and really try to generate income from my blog soon. I’m now doing the stay at home mom bit and oy… bills still come whether I’m working or not! You’ve had a great month in August and I hope it continues. Can’t wait to check out some of the resources you listed as well. This is awesome! I love seeing other bloggers income reports – motivates me to get started! I really want to monetize my blog but I haven’t had the opportunity to yet. Thanks for rounding up those blogging books at the end of your post – I definitely have to check those out! That is so awesome! You are doing great. Love that your income has reached four figures, do not worry about pageviews. It’s very normal for the time when people are transitioning from one phase to another, in this case, back to school! You will see a jump in your pageviews once things are back to routine! You’re doing so well!!! I’m so happy for you! Congrats! 🙂 I hope my blog grows that much one day! wow! great job! this inspires me! I am not there yet making money on blog post this article was reassuring to me. Everyone seems to be doing it but not teaching thanks for sharing. Oh wow!! Your stats are very impressive. I love how you put out all those numbers. Wow! This post has motivated me so much! You’re doing awesome. Keep it up! Thanks for the inspiration. You’ve certainly figured out a system that works for you! Keep up the amazing work! I am so proud of you — you’re doing great! I wish I had these kind of results! That is crazy awesome! I would love to figure out how to better manage all the things that go along with blogging. I will definitely consider your Blog Coach Calls. I’d love to grow my readership and begin monetizing my blog… because I don’t have a lot of page views yet. I’m just under a month and a half into blogging, but I feel like I’m wasting a lot of time trying to figure out what to do. I want to be more productive and intentional! Are you a DPhiE by any chance?! I found you on Facebook and we have a mutual friend in common and I’m just making inferences lol. Anyway – love your blog and love that you publish these reports! It’s super helpful for aspiring bloggers and also probably awesome to personally see how you’ve grown 🙂 As I grow my own blog, I’ve pinned this to help me maximize my potential. Keep up the great work! I also had a great increase in pageviews and earnings as well! Must be something about August! haha You are doing an awesome job! Thank you so much for sharing these! I love that you’re so transparent about how you make an income with this space. I’ve thought about joining some of the organizations you listed (Clevver Girls, Social Fabric, etc. ), but I’ve always assumed they’re difficult to get into and/or don’t produce a lot of opportunities. Would you ever consider doing a post or sharing some info about what to expect from them? I’d really love to know more info. Thanks! this is great… i love it when people share their income reports because it definitely motivates me!!! i need to figure out how to get up there with you! Good job for you on the increase in blog revenue. Don’t worry about the decrease in pageviews. That could be because of summer, too. Wow, this is great! It’s awesome to see how much progress you’ve made just since you started these income reports! first time here.. i hope to learn a lot from your blog. thank you sharing all those resources. Congrats, girl!! Keep up the good work! Way to go! I’m making a profit on my blog this year, and you just reminded me that I have a question for those who always do these income reports. Do you only count the money that’s actually paid to you, or do you consider it once you’ve written the post. For example: Clever Girls pays 60 days later, to in the amount you included above, were those posts what were actually written back in May(ish)? Just curious, because I’m considering doing an income report starting next year. You’ve been seeing some amazing growth, wow! This is great inspiration for new bloggers looking to make some extra income. I think it is great that you share this and you have had some serious growth the last few months. Great job!! This is amazing and so helpful to see! I’m trying to monetize my blog so this is great! Wow! You are climbing up! Way to go! I love reading these! This has inspired me so much. Thank you for sharing. You did well for August. I wish you more money for September. We all try to earn as much as we can for our blogs. Congratulations on your accomplishments! It’s such a rewarding feeling every time you see how much you’re able to do in a month. Just continue what you’re doing and good things will follow. Wow amazing!! I’ve never reached your blog income! I’m so glad that you did and reached this big blog income. This is so inspiring! Way to go, girl! I love seeing how much you’ve grown in the last five months. It’s so helpful to see how you’ve grown your income in that time. Have you done any posts on how you increased your pageviews during this time? Congratulations on another successful month! I’m only beginning to make money over on the blog and seeing the blog income reports are so inspiring. This is amazing. Thanks for sharing your breakdown with us! This is great. Has blogging daily helped your page views? I need to start hustling more! pinning this to refer to, thanks! Looks like you’re doing a great job. Pageviews tend to go down during certain times of the year, especially at the end of summer and end of school year. I love all of the information. I look forward to hearing about your book deal. Congrats! I always love reading income reports. It’s great to see how bloggers make their money. Looks like it was a pretty good month for you! I am glad to see that you can still earn some good money even if your page views are down a little bit. It’s wonderful to see the progress we make month by month. As a new blogger it is so nice to see advice from someone who was where I am so recently. I’ve also read income reports by bloggers making tens of thousands of dollars a month. Like you said, their success is great, but it’s hard for me to relate to their astronomical financials and pageviews, when I’m trying to get 100 views in one day. Thank you! I love this! Like some of the commenters I’m also used to seeing income reports in the 5 digits and I just look at them, as well as yours, as something to aspire to. But I always keep in mind that they started exactly where we are so if they can do it, so can we! And congrats on the book deal!